So, our kids are now too old to dress up for Halloween but our neighborhood is still filled with kids of the trick-or-treating age, so we hand out a lot of treats. 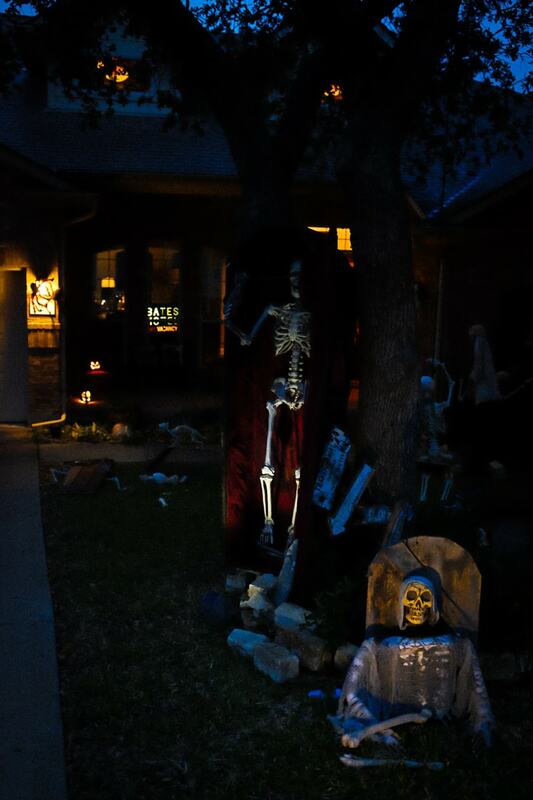 Tonight we must have had about 75 kids show up, and we just about ran out of candy! Actually, towards the end of the evening, some older kids who Koa knew came by, and Koa gave them the rest of the treats. He heard me say that once we get rid of all the candy, we have to turn off all the lights so no one else knocks on the door. But he thought I meant to give away all the candy to the next group of kids!